Although St. Louis Actors’ Studio has two shows left in this season, they’ve come out with their 2012-2013 season and this one refers to “kings, queens and pawns.” It will focus on those who act and those who are acted upon and involve these three figures either directly or figuratively. “Dinner With Friends,” the Pulitzer Prize winning script from Donald Margolies will open the Fall season on October 5 to be followed by the dysfunctional fun from Alan Ayckbourn, “Seasons Greetings” on November 30. As 2013 comes in, St. Louis Actors’ Studio brings us Edward Albee’s disturbing but highly intriguing “The Goat, Or Who Is Sylvia?” starting January 18. Then the rarely produced Tennessee Williams’ play, “A Lovely Sunday for Creve Coeur opens March 8. April 19 is the beginning of the enigmatic Samuel Beckett classic, “Waiting For Godot” and then the season closes with the June 3 opening of Shakespeare’s “King Lear.” It’s a powerful season that will light up the historic Gaslight Square Theatre. Over at the Kranzberg Arts Center, Hot City Theatre opens January 20 with David Mamet’s controversial play about sexual harassment, “Oleanna.” Powerful performers John Pierson and the lovely Rachel Fenton star. Then a couple of other strong actors, Steve Isom and Chris Lawyer will bring us Richard Dresser’s “Rounding Third” opening May 11. This year’s play festival winner, “Goodbye, Ruby Tuesday” opens September 7 and explores what happens when a person must follow their destiny. Then, a production of the Charles Busch hilarious take on nuns from movies to real life takes place with a November 30 opening, “The Divine Sister.” Should be fun with the outrageous antics of this playwright/actor. Let’s face it, we’re in for some great shows as 2012 (and even 2013) begin to take shape for the local theatre scene. Contact St. Louis Actors’s Studio at 314-458-2978 to find out how to get tickets to the rest of this season which includes the Tracy Letts zany shenanigans of “Killer Joe” and the classic “One Flew Over The Cuckoo’s Nest” and their new 2012-2013 season. 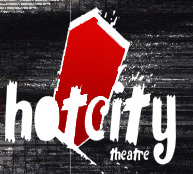 And give Hot City a call at 314-289-4063 to get season ticket info. This entry was posted on December 23, 2011 at 9:43 am12 and is filed under Uncategorized. You can follow any responses to this entry through the RSS 2.0 feed. You can leave a response, or trackback from your own site. where do i find season 7?